Below is an excerpt from my Banned on the Hill interview with Darryl Salach, Editor of The Toronto Quarterly. The full interview is 16 pages. TTQ is available for purchase on Lulu.com in ebook format or as a paperback. Note: I’ve added hyperlinks and some additional illustrations. TTQ – How dangerous is Franke James? 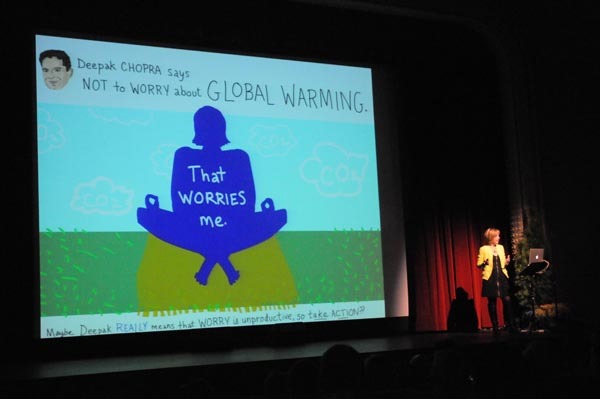 TTQ – Why did you choose to fight government for a greener environment by combining your artwork and political activism? Franke James – Art and political activism are the perfect combo – there is a long history of art being used to inspire social change for a wide range of causes: women’s right to vote, anti-war demonstrations, Earth Day, etc. Artists are natural communicators for causes because we have the freedom to weave facts, opinions, thoughts, emotion and color all together. We can instill passion and motivate change. In this time of social media and the internet, artists have tremendous power to sway opinions – which is why some governments can be afraid of us. With the click of a button, our voice can be amplified and reach millions around the world. I’ve been doing political games and ethical power games since 2003, and visual essays since 2007. But I only realized the government was taking notice in 2011. Overall, I’m a believer in the power of our democratic system to make positive change happen, but we need the right leaders in place. That’s why so many of my stories have a call to action which asks people to write to their MPs, and cast their vote to put people in power who will understand that a healthy economy depends on having a healthy environment. To make the really big changes (like transitioning Canada to a clean energy future), we need ‘political will’ at all levels of government: municipal, provincial and federal. That’s why so many of my stories focus on government and the need to think long-term rather than just to the next election. “What can one person do?” and “12,000 Sitting Ducks” are two stories that illustrate that point. TTQ – Do you think that most Canadians choose to ignore the seriousness of climate change and potential dangers to the environment? It also found that Canadians are more likely to call for environmental protection at the risk of hampering economic growth than those in the United States and Britain. So, that’s encouraging news. The disconnect though is that we have a Conservative government in power that is making significant changes to our environmental laws that they never campaigned on! I personally don’t believe Harper would have been elected if he had told Canadians what he was going to do. His changes benefit the oil and gas industry at the expense of the environment. He has thrown environmental protections under the bus — the “omnibus” that is, Bill C-38. With Bill C-38, Harper has gutted the fisheries act, trashed the environmental assessment act, overruled the National Energy Board (and given Cabinet the power to decide on major energy resource projects), speeded up environmental reviews, and the list goes on and on. So, all of these changes which adversely affect our environment have been done without the approval of Canadian voters. We’ll have to wait and see in 2015 whether most Canadians are happy with those changes. TTQ – Do you think that most Canadians assume that the government is doing all the right things in order to provide for a greener environment or are Canadians not holding government accountable for their actions? Franke James – The government’s spin machine is working hard to convince Canadians that they are doing all the right things. 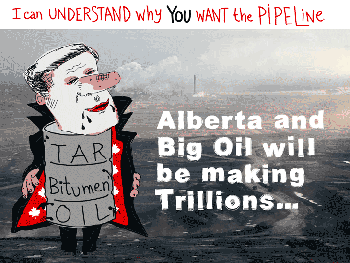 So, some people will be fooled, however there are some recent high-profile events which show that we can’t trust our current government to protect the environment and that the Harper government is a gungho salesman for Big Oil. Diplomats have contacted Fortune 500 companies in the USA to pitch them on the benefits of the tar sands and play down the many serious concerns about water pollution and greenhouse gases. Another example is the thousands of scientists who protested the “Death of Evidence” on Parliament Hill. Scientists are not usually found at protest rallies, but the Harper government has gone too far with cutbacks to science research and the silencing of scientific reports which provide evidence that the government doesn’t like. TTQ – How devastating to our current economy would the immediate impact be if we decided to change our ways and become a much more green friendly country? Franke James – Many experts say it will be devastating to our economy if we DON’T take action to become a green energy leader. Ed Whittingham from the Pembina Institute wrote about the risk that Alberta will miss the clean tech boom. Canada could be sitting on the sidelines while China, the USA and Germany lead the world in solar power, wind power and electric cars. TTQ – What kinds of significant things can be done today for an immediate impact on the environment? Tell your friends and neighbours what’s the neat/cool/hard thing you’ve done for the planet. This isn’t bragging – it’s about inspiring others to get ambitious too. 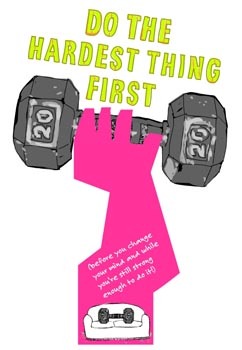 The beauty of “doing the hardest thing first” is that it’s very individual. Just choose to do something that will whack down your carbon emissions — and make your friends and family green with envy. A little friendly competition is just what we need to make social change happen. Become a green advocate. Speak out! Share your ideas on making Canada green. Write letters to the editor. Share your opinions on Facebook and Twitter. TTQ – There have already been a number of oil spills reported in the news recently in the surrounding area of the Alberta Tar Sands. 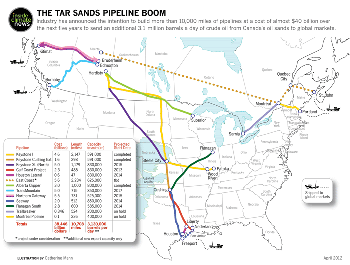 In your opinion how many of these kinds of spills go unreported and what are the potential long term ramifications to the environment should the Tar Sands projects continue on for the foreseeable future? Franke James – You are right. The number of spills is a huge concern. In May and June over 1.5 million liters of oil spilled. The Premier of Alberta, Alison Redford, initially tried to dismiss the spills as “rare” events. However in the past six years, Alberta’s pipelines have spilled a whopping 28 million liters of oil. We’re seeing more spills now because the pipelines are aging. Premier Redford has responded to the pressure by recently announcing a province-wide safety review of the pipelines. But Greenpeace Canada isn’t waiting. They’ve set up a spill tip line so that everyone can be a watchdog and help protect their communities. The tip line will also help get the word out to the media so the spills don’t go unnoticed. 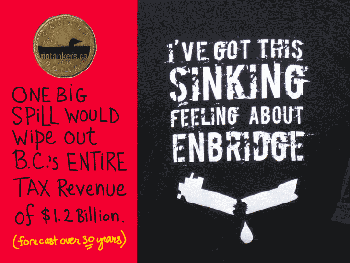 We’re getting an advance peek at the long term ramifications with Enbridge’s shoddy clean up of the “Spill from Hell”. In July 2010, 840,000 gallons of heavy bitumen crude oil from Alberta spilled into Michigan’s Kalamazoo River. The National Transportation Safety Board in the U.S. slammed Enbridge’s clean up efforts comparing them to the slapstick “Keystone Kops”. The Kalamazoo spill has cost over $800 million to clean up – and they are still not done. Diluted bitumen is more difficult to clean up than conventional oil because it sinks. It also creates poisoned air that necessitates evacuation of nearby communities. It’s mind boggling what is being planned – and so the changes that the Harper government has made to speed up environmental reviews and facilitate big oil’s expansion increases the likelihood that major spills will happen causing permanent damage which cannot be undone – no matter how much money is spent. You can’t bring the dead birds, fish, and other wildlife back to life. TTQ – When did your conflict with the Harper Government begin and is there still a chance your grant money for the European art tour will be approved? Franke James– On May 19, 2011, I discovered that the Harper government “disapproved” of my art and had cancelled funds which had been previously approved. But just to be clear, the loss of that money did not scuttle the show. (The funding was miniscule.) We were still planning on going ahead with private money, but behind-the-scenes badmouthing and interference by Canadian government staff scared away all my supporters. After the Canadian Government funding was withdrawn, I was disappointed that my own government couldn’t at least show some moral support for my show. So, I wrote to Canadian Embassies asking if I could rent space at my own expense to publicize my art show. That caused a flurry of emails from bureaucrats which are part of the 1,557 pages I obtained through access-to-information requests. Here is how the Diplomats used their influence behind the scenes to persuade people not to support my show. Scott Heatherington, the Canadian Ambassador to the Baltic States, sent an email to Canadian embassy staffers in European countries saying he was not comfortable with my work, and to take a look at my Fat Cat Canada visual essay. Nektarina, the show organizer, was warned in May 2011 by Canadian Embassy Cultural Officer, Vlatka Ljubenko not to show my art. By August 2011, Nektarina could not withstand being in a political pressure-cooker and the show was cancelled. See Bully in the Playground. So, we can safely state that there is no chance that the funding will be reinstated. My visual essay and video “Banned on the Hill” gives an overview of my blacklisting to November 2011. 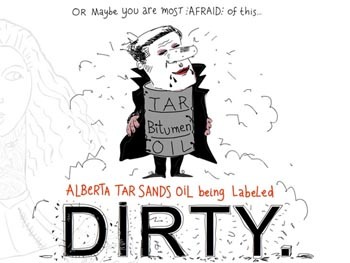 If you’re still wondering why Dept of Foreign Affairs government employees would work behind-the-scenes to dissuade people and organizations from supporting my art show in Europe here’s why: They feared that my art could influence European policymakers – who were (and still are) debating whether to slap a “dirty oil” label on Alberta oil. So, they did everything they could to make sure that my voice was censored. TTQ – Have you found any members of parliament that are onside with you when it comes to thinking green and protecting the environment in a meaningful way? Tell us about your conversation with MP Joe Oliver. 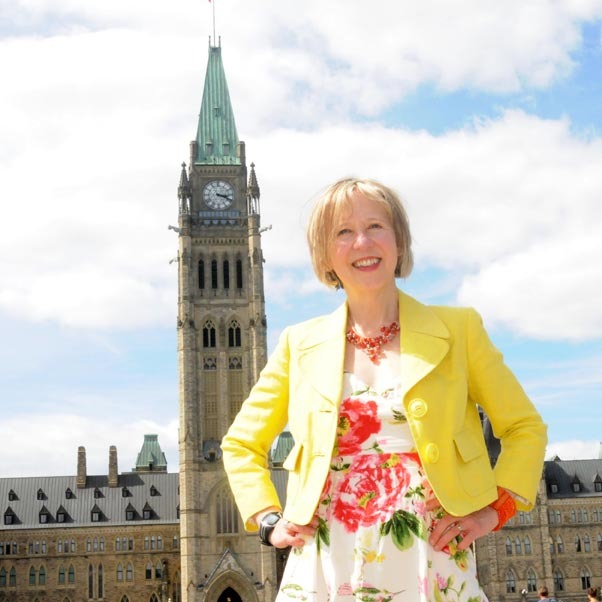 Franke James – Elizabeth May, the Leader of the Green Party of Canada and the Member of Parliament for Saanich-Gulf Islands, and her staff have been wonderfully supportive. I’ve turned to them many times for advice. I met with May and her staff in Ottawa when I had my ‘Banned on the Hill’ art show in November. The meeting I had with my MP, Joe Oliver, came about after Oliver wrote his open letter labeling environmentalists as “radicals”. He told the media he’d meet with environmentalists if they’d only ask. So, I sent Oliver a letter – and then a cheeky Valentine requesting a meeting. On March 3rd we met at his offices… What he told me in the meeting is the core of my new story “What is Harper afraid of?” I asked him about a ‘secret report’ on the pollution in the Athabasca River and was shocked with his evasive replies, which you can read in my story. TTQ – What do you recommend Canadians do to make Canada a green energy super power? Franke James – Number One, Vote: We need political leaders who don’t have their heads buried in the tar sands. Number Two, Buy green energy: Homeowners can support the shift to clean energy by buying wind and solar power. That doesn’t have to cost a lot of money. If you’re not ready to invest in a solar panel on your roof, you can choose to purchase green power from a company such as Bullfrog Power. That’s what we do. It costs us about $30 extra a month. And we feel good knowing that we’re part of the solution rather than the problem. Number Three, Educate yourself: Pembina Institute and TidesCanada are two non-profit organizations mapping out the transition to a clean energy future. Go to their sites to read their reports and learn how you can get involved. TTQ – What’s next for Franke James? Franke James – Overall, being ‘banned on the hill’ has focused my art and writing on the issue of censorship, free speech and transparent government which I never worried about before. But now I realize how critical it is for artists. In October, I’ll be publishing my new book, [Frying the Planet: the art of what one person can do]. It’s a collection of my political environmental essays plus tips on getting the most out of access-to-information requests. Thanks for asking me to do this interview for The Toronto Quarterly! The Toronto Quarterly is available for purchase on Lulu.com in ebook format or as a paperback. 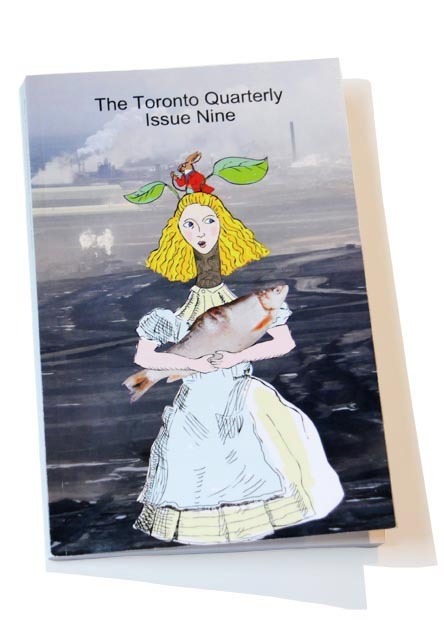 The Toronto Quarterly: Issue Nine includes Robert Earle, Michael Bazzett, Peter Taylor, Kath MacLean, Simon Perchik, Mark McCawley, Iris Wilde, Cornelia Hoogland, David Clink, Nicole Aube, Ewan Whyte, Richard Scarsbrook, Lindsay Foran, David B. Huebert, Priscila Uppal, Marina Blokker, Christopher Doda, Heather Rose Babcock, Dominique Russell, James Robison, Allen Qing Yuan, John McKernan, Hugh Graham, André Narbonne, a.m. kozak, Allison LaSorda, Trevor Abes, John Stocks, Catherine Owen, Moez Surani, Nathaniel S Rounds, Ashley-Elizabeth Best, Changming Yaun, Blaise Moritz, Anne Devereux, Tim Prior, Allison Grayhurst and Robert Colman.